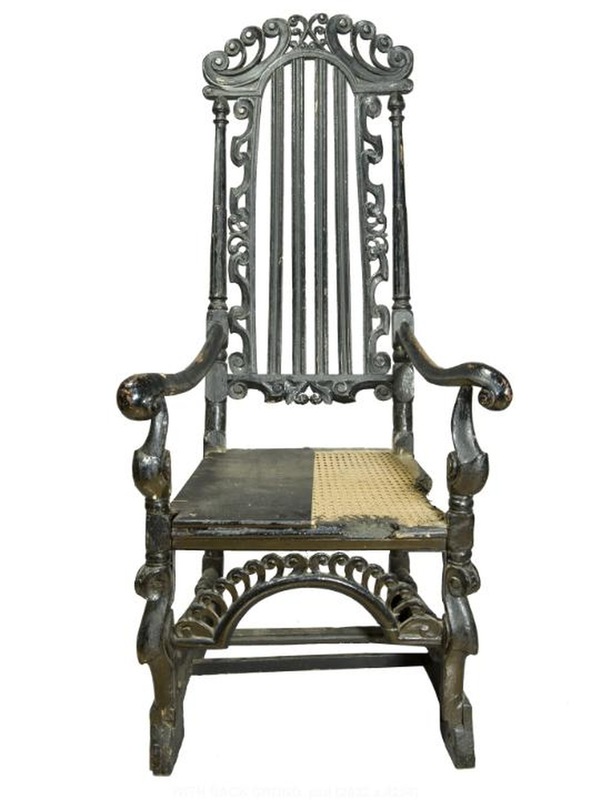 The Conservation ‘Restoration’of a William and Mary high-back open arm chair. We advised the client to conserve the chair. However; the client chose to push for full restoration, as he wanted the chair to be a functional item. The owner did not consider the removal of parts of the original chair a problem; as long as the chairs functional integrity was restored. We chose to focus on retaining as much of the original materials as possible while completing a successful restoration. Some key decisions I made include: What types of materials should we use? How can we strengthen this historic object without compromising its integrity? Should I use traditional techniques when I restore the hand-carving details? Finally; as this object is for a private client, what are our responsibilities towards completing the task as quickly (cheaply) as possible? Every decision we made was the result of considered research and consultation with/from the professionals in the workshops.